Ryder and his team of pups will come and save the day! 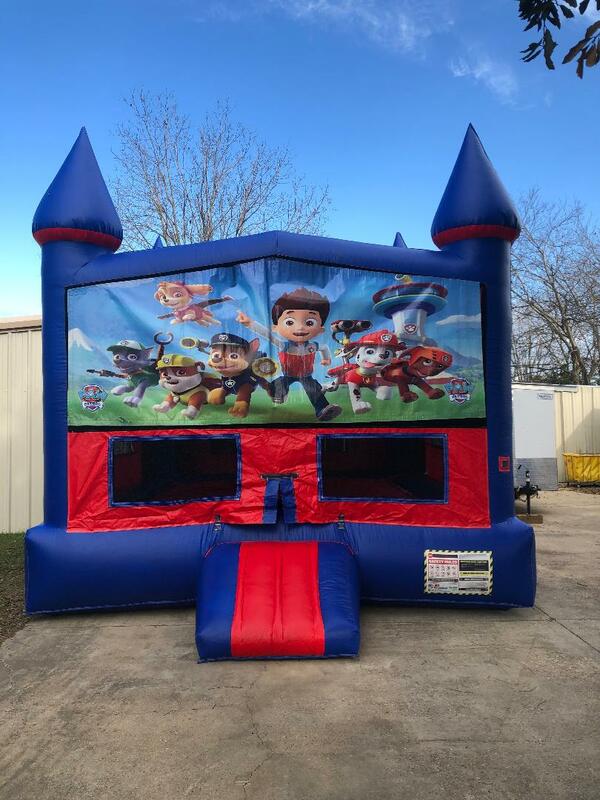 Come along with Ryder and the rest of the Paw Patrol team in this bouncer rental that provides over 200 sq. ft. of bounce area, so there will be room for all! It also features large netted vent windows to keep things cool, while allowing parents to keep a watchful eye on activities inside. There's an inflatable ramp at the entrance for safe entries and exits. 3-5 years 8 children at one time. 5- 9 years 6 children at one time. 10-14 years 5 children at one time. 14+ years 4 occupants at one time.